Happy Friday, boy do I have a treat for you today! On today's Friday Instagram Finds we take a look at @samowenhull and her Instagram account. I love everything about Sam's Instagram feed! Her mixed media hoops are creative and vibrant, and you can see where she gets her inspiration in nature with interesting close up photos. Here are some of my favorites from her Instagram feed. 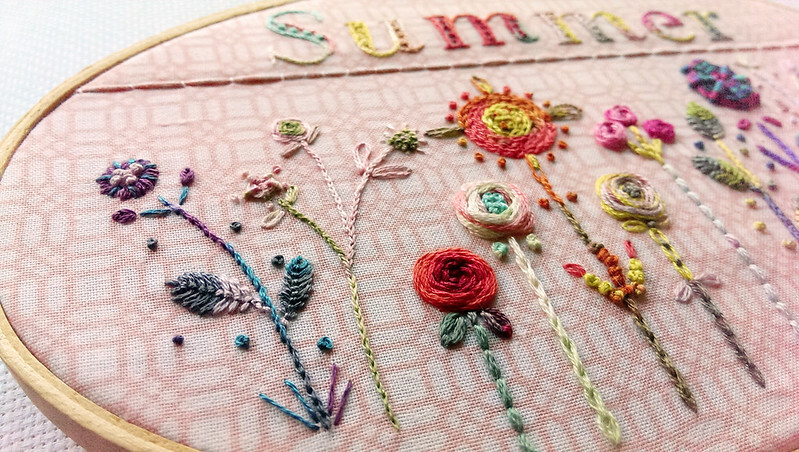 Sam used #feelingstitchyig, and I am so glad she did so I could discover her fun and creative work. While you're on Instagram checking out Sam's work at @samowenhull make sure you follow Feeling Stitchy! We'd love for you to stop by and say hello. You can find Feeling Stitchy on Instagram at the handle @feelingstitchyish. You can find Amy at @randomactsofamy on Instagram. 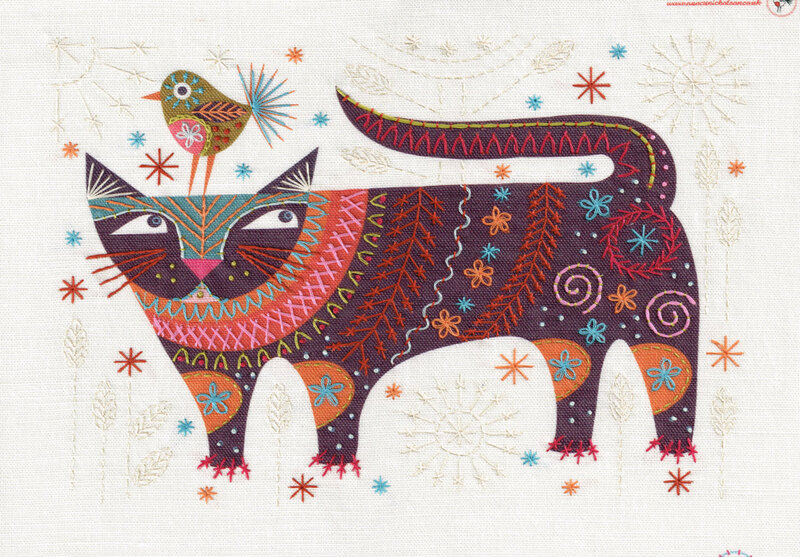 There is something oddly wonderful about this embroidery kit by Odd Ana Stitch on Etsy. 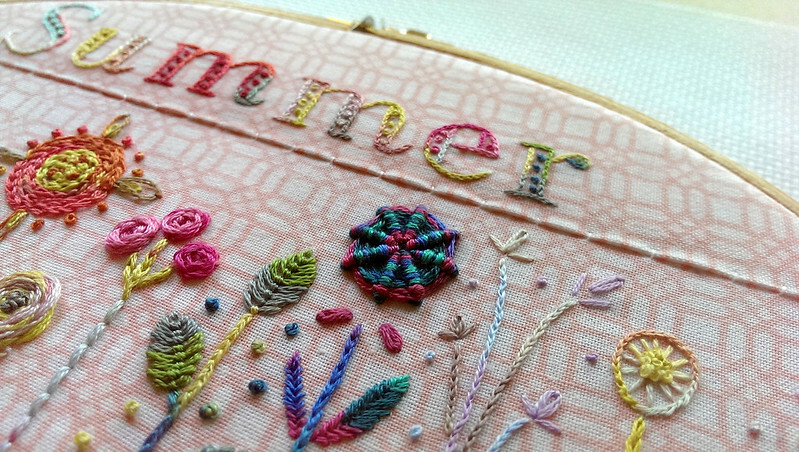 I love all the hand-drawn elements of this pattern, and all the extras included in the kit, like a beginner's guide to embroidery, floss, and a beautiful illustrated color guide. 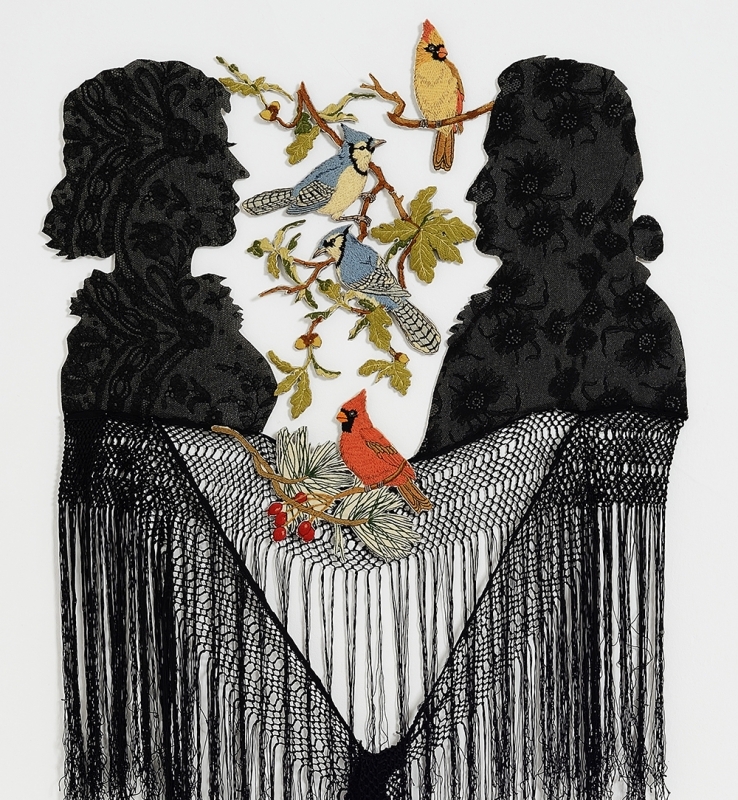 Saxton predominantly uses pins to fix the textiles and fabricate her collages and with this technique she can achieve a textile relief. This technique also echoes the traditional handwork experience and the labour involved. 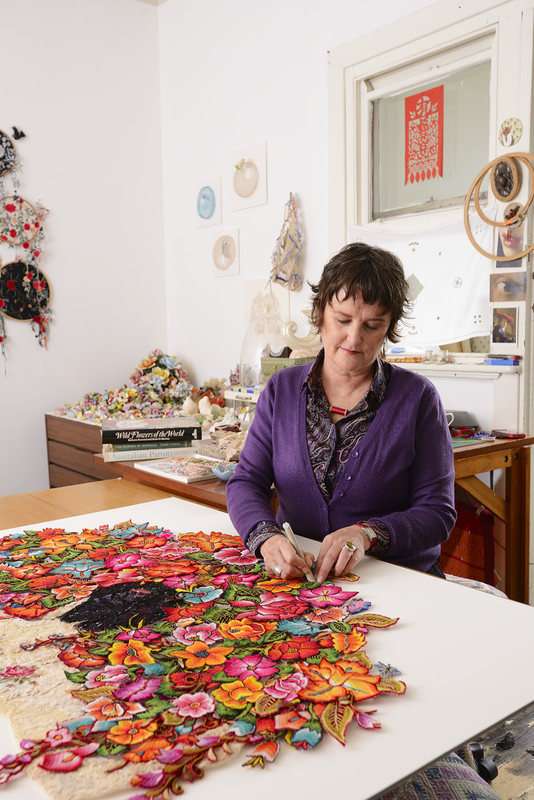 Undertaking residencies in Mexico and Malaysia has broadened her insight into local artisan technique, influenced her work and also helped in increasing her great collection of needlework. 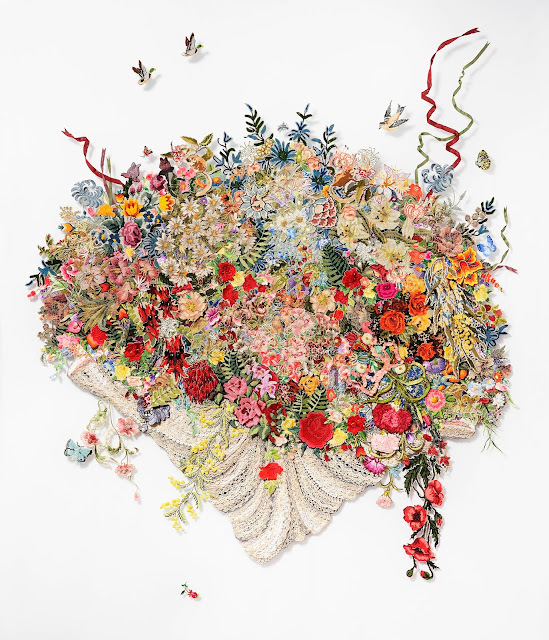 Saxton regards her artistic process as a 'silent collaboration with the anonymous original makers'. 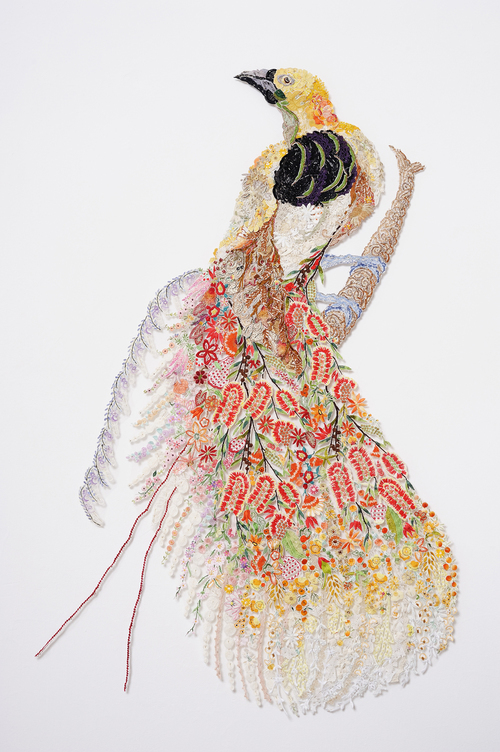 This transformation of forgotten and discarded textiles is integral to her work as it returns importance and value to the craft of needlework and showcases these precious pieces of handwork. Saxton elaborates: 'Historically, handmade embroidery and lace were as economically valuable as gold and silver... Needlework is cross-cultural, but sadly in most parts of the world today, it is in danger of disappearing.' 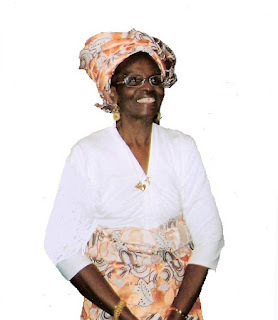 Promoting traditional needlework and textiles within her work helps to protect the art form. To find out more about her work and upcoming exhibitions look here. Happy Friday, stitchy fans! On today's Friday Instagram Finds we take a look at @rubysewoh and her Instagram account. Danielle creates beautiful hand embroidery on gorgeous, printed fabric. She also sews and is in the process of creating a gorgeous Liberty hexie quilt. Here are some of my favorites from her Instagram feed. Danielle used #feelingstitchyig, and I'm glad she did so I could discover her fun and creative work. While you're on Instagram checking out Danielle's work at @rubysewoh make sure you follow Feeling Stitchy! We'd love for you to stop by and say hello. You can find Feeling Stitchy on Instagram at the handle @feelingstitchyish. You can find Amy at @randomactsofamy on Instagram. Believe 🦄💫 Eva's going for more tests tomorrow - hopefully it's all good news! 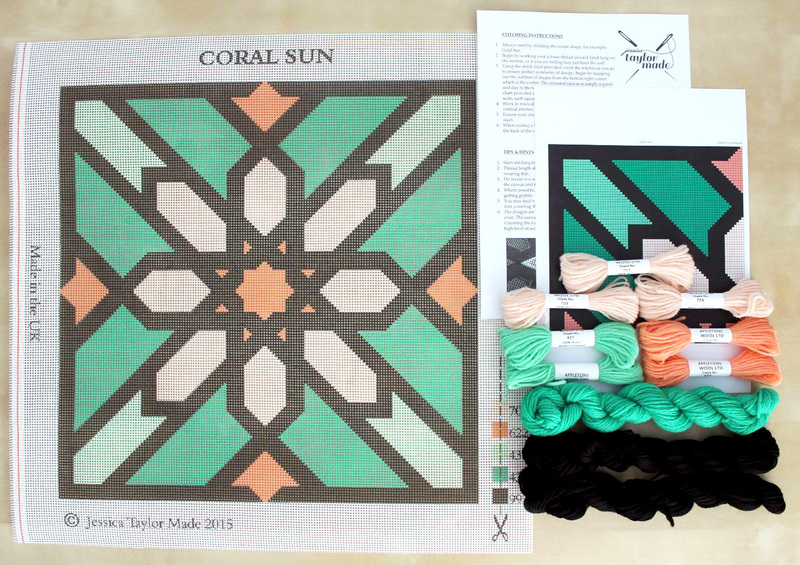 We have a winner for this beautiful kit in the Jessica Taylor Made giveaway! I like gold star the best. Personally, I found it very hard to pick a favorite, but I am very drawn to the bold colors in Pink Diamond. Thank you once again to Jessica, for making this giveaway possible. 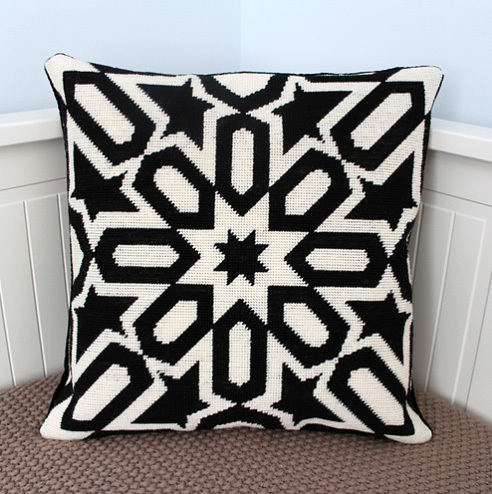 If you haven't already, be sure to check out her lovely shop, Jessica Taylor Made. And thanks to all of our readers for taking part! 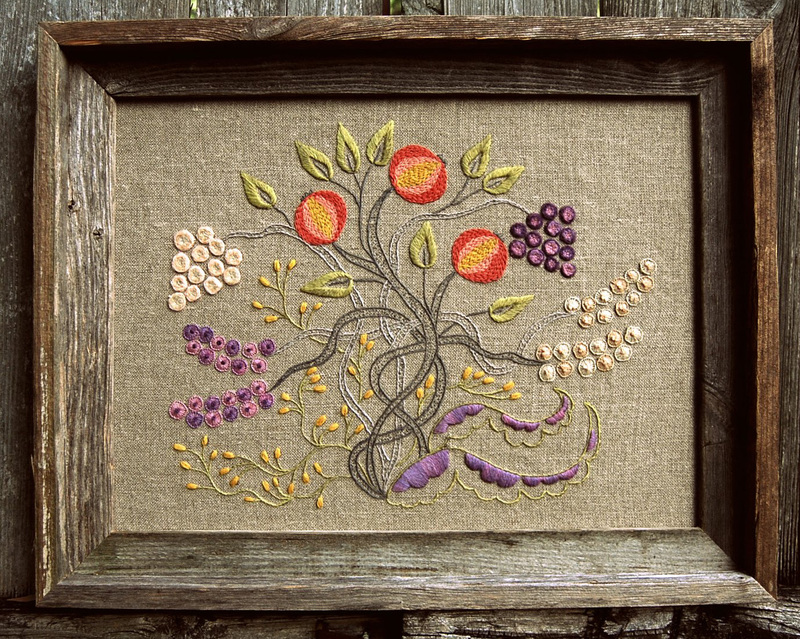 I absolutely love the wooly texture in this beautiful Folk Garden PDF Pattern - but I'm sure it would look equally lovely stitched up in DMC floss - the pattern includes color options for DMC, Appleton crewel wool, and Renaissance crewel wool. 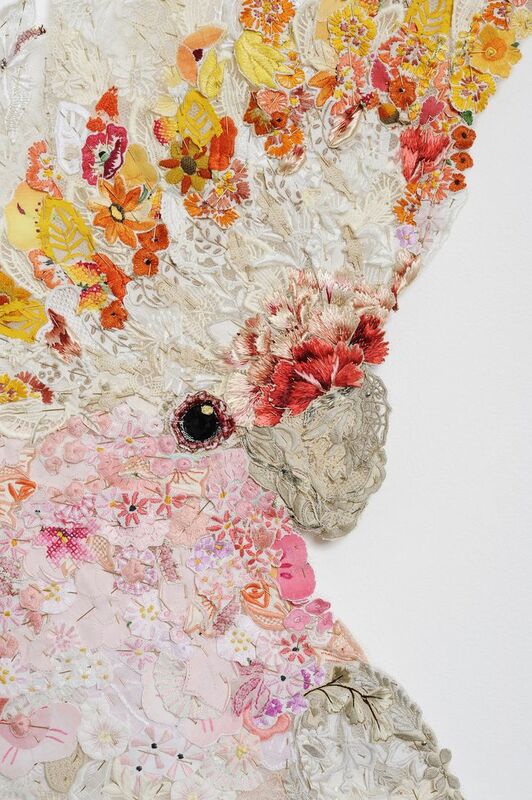 It's hard to believe there are only 8 stitches used in this piece - it is so beautifully and delicately stitched, one would think it was far more! TGIF! On today's Friday Instagram Finds we take a look at @nerdsandneedles and her Instagram account. 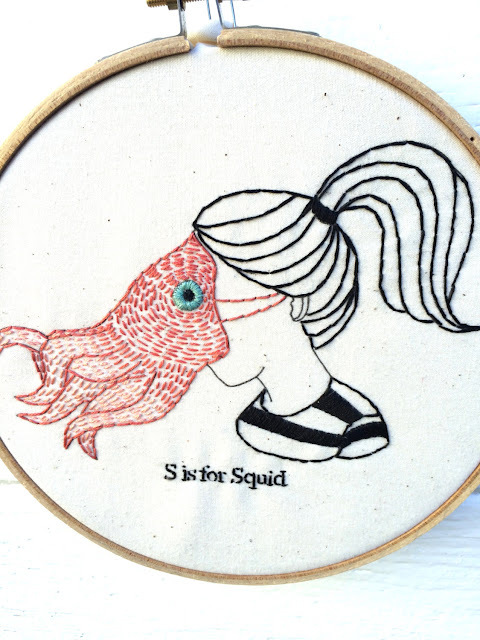 Redd creates fun pop culture-inspired embroidery and cross stitch projects. I especially love her Doctor Who applique hoop series! Here are some of my favorites from her Instagram feed. 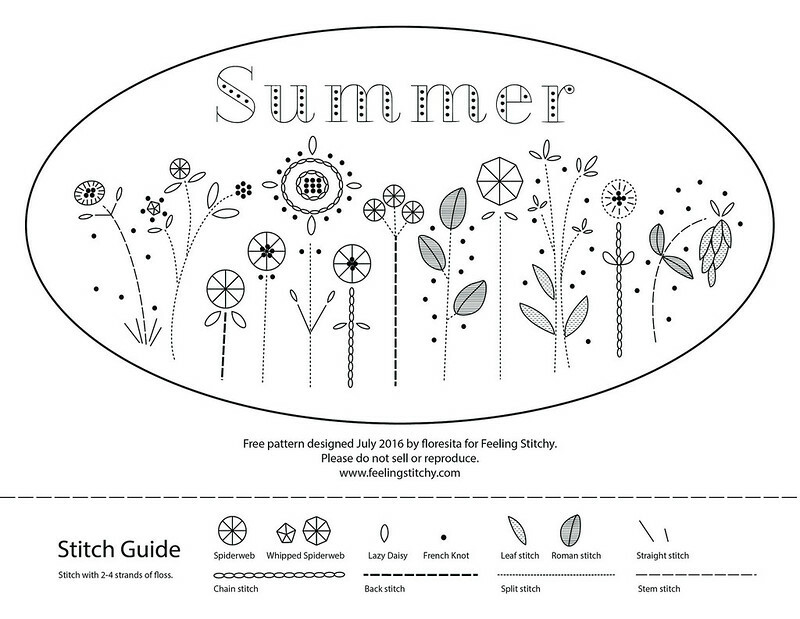 Redd used #feelingstitchyig, and I'm glad she did so I could discover her fun and creative work. While you're on Instagram checking out Redd's work at @nerdsandneedles make sure you follow Feeling Stitchy! We'd love for you to stop by and say hello. You can find Feeling Stitchy on Instagram at the handle @feelingstitchyish. You can find Amy @randomactsofamy on Instagram. Today I have the pleasure of interviewing Jessica from Jessica Taylor Made. 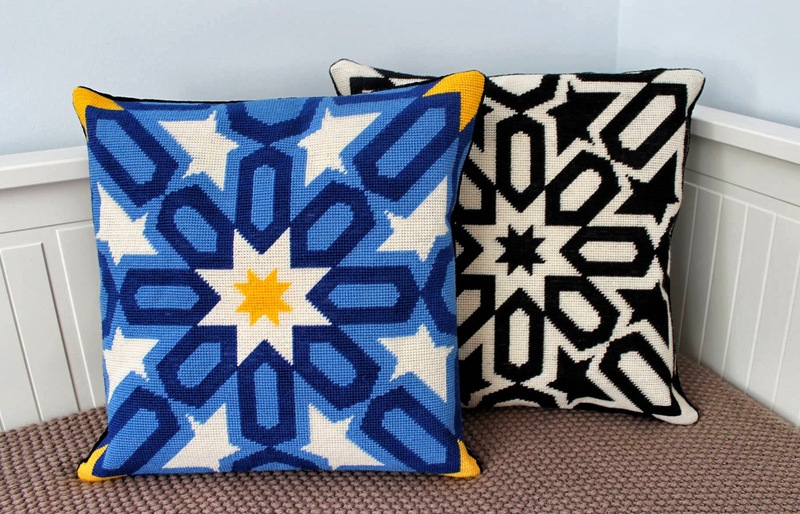 Her bold, geometric tapestry kits look like a joy to stitch. Read on to learn more about Jessica and stay tuned to the end of this post for a special giveaway of one of Jessica's kits! What inspired you to do tapestry? It is not what inspired me but rather who... my Grandmother bought my first tapestry kit at the age of 7 and taught me how to stitch, we used to sit together for hours on end stitching. I looked up to her talent and loved her enormous sofa covered with her beautiful cushion creations. As I grew with confidence I would pick up her more complicated tapestry and complete a section, later being proud that it was a joint effort. Over the years I have tried embroidery, cross stitch and long stitch but always come back to my real passion, tapestry. 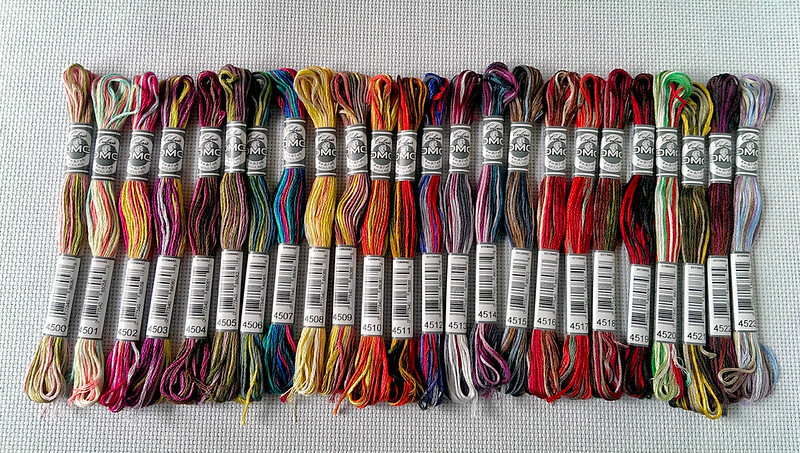 Can you recall your first tapestry piece? My first kit was a small swan design and I was so delighted when I completed it and my Grandmother helped me to finish it and put in a frame. I only wish I still had it or could find the original kit to buy again so I can teach my daughter when she is old enough. Why did you start designing your own kits? I became a mother to a gorgeous, squidgy daughter recently and it seemed like the best time to set up something for myself which I really enjoy doing and will always have time for. 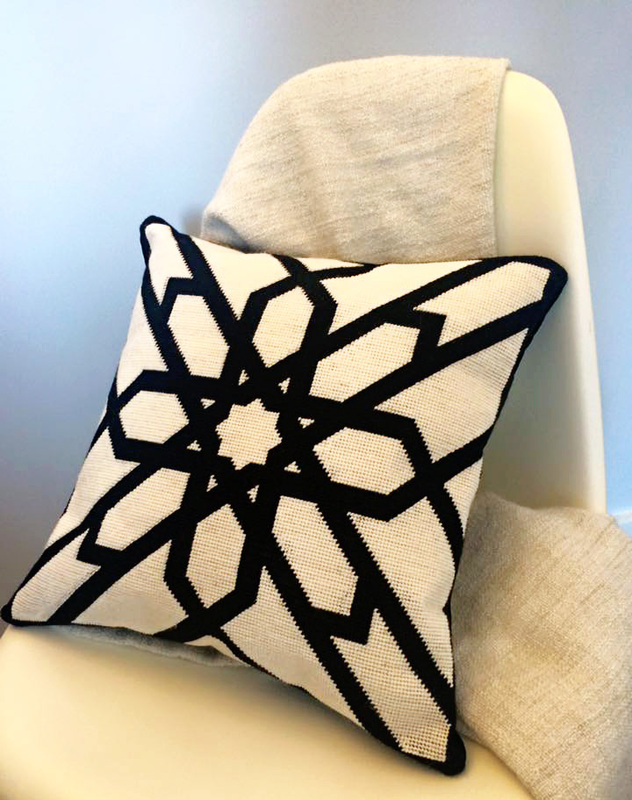 The main aim of JessicaTaylorMade was to design modern and appealing creations for the more discerning. I could not find kit designs on the market to satisfy my passion and was bored of the dull floral or animal tapestries available. 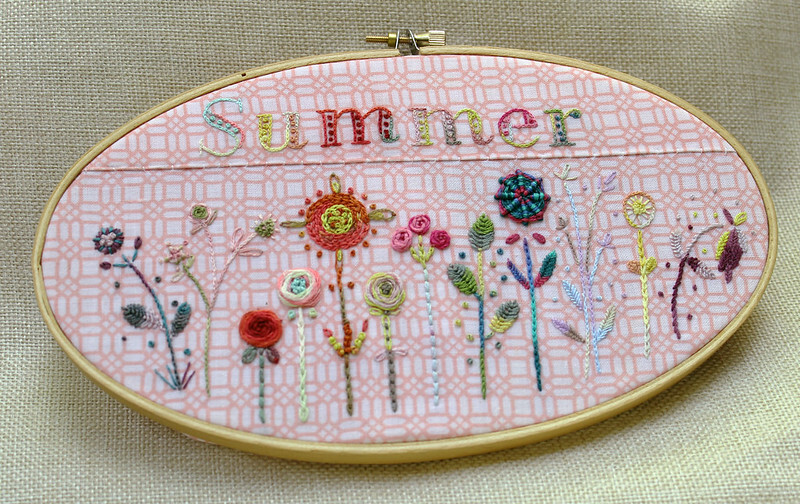 I am fed up of stitching numerous kits and not wanting to display them or even give them to friends and family as gifts! I am quite addicted to using shapes and lines to create pattern. I like order and combining simple shapes to create an overall beautiful form. I have been influenced by numerous trips to Morocco and Turkey where there are such beautiful patterns everywhere: pavements, columns, mosques and palaces. I have taken inspiration from these and simplified them to create my tapestry designs. I am strongly attracted to bright colours which is part of my heritage, being half Nigerian and having my Grandmother's influence. She would wear traditional, brightly coloured Nigerian dress everyday despite the cold British weather. I launched my website (http://www.jessicataylormade.co.uk/) as my main point of sale in April this year, after just having my Facebook page and doing bespoke commissions for people who contacted. I built the website myself from scratch which I am pleased with as being technical with computers in not my strength. I have attended many markets, mainly in London and now more locally to Marlborough where I live. 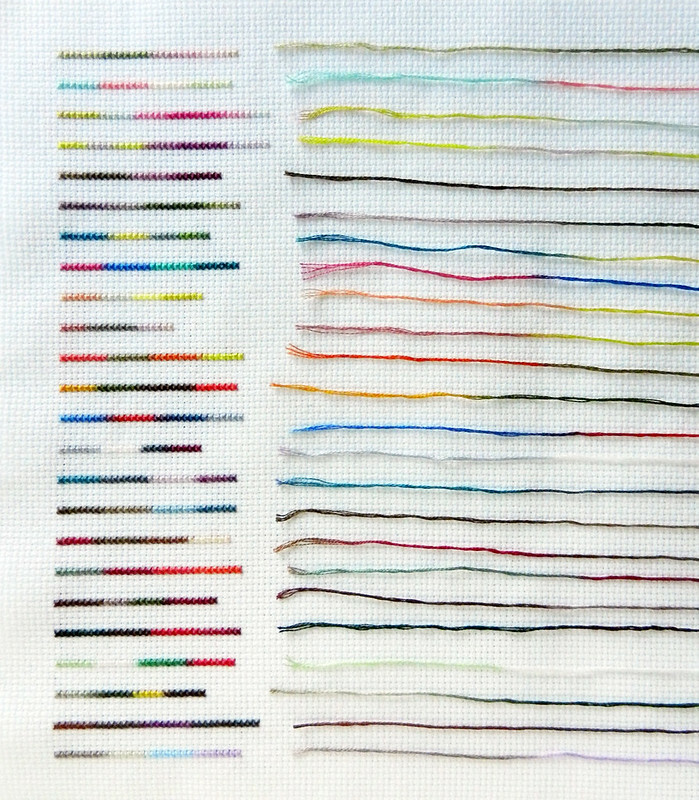 I have a few places I love to stitch, mainly somewhere snuggly and warm with good light. I do think tapestry stitching is quite seasonal and I find I do a lot more in the winter months curled up on my leather chair with a glass of wine. Or on a leather chair at my local pub with a roaring fire. Stitching on holiday in the sunshine al fresco is often just as relaxing if not more so than getting into a good book. Your surroundings are important, it needs to be peaceful with few distractions, a place where you can switch off and give stitching 90% of your attention, the other 10% on the TV, your husband or glass of wine. What do you think is the best way to learn tapestry? I would say just start, don’t choose a kit that is too complicated and select one with a coloured canvas to give you more of a guide. I know people who were terrified because the canvas is large, but stitching is supposed to be a slow progressive hobby and so it may take months to finish. But the sense of pride and achievement once it is completed is amazing. The feeling when someone comes to your home and asks where you bought your cushions and you say actually I made it, is like no other. 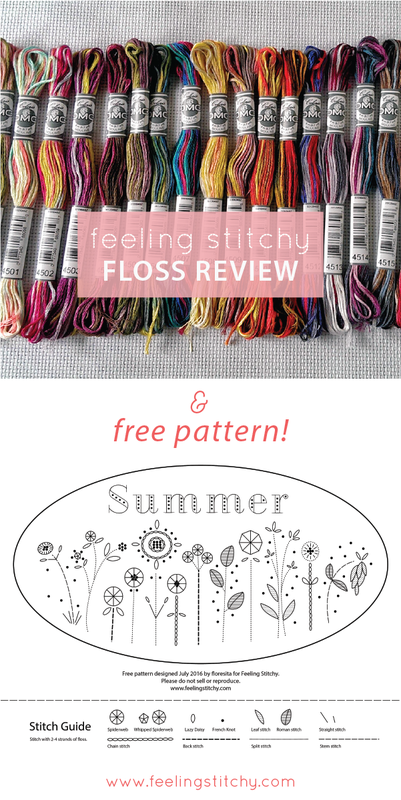 I have designed my kits to be simple to stitch and can be ideal for complete beginners with few colours and simple shapes, all straight lines! I include in depth instructions which you can take step by step and as long as you start in the middle and work your way out the outcome will be lovely I’m sure! Think of it as an adult paint by numbers combined with dot to dot and be brave! I am always happy to help at the other end of the phone or email if you get stuck! Thank you Jessica, for your letting us all get to know you better! Jessica would like to celebrate the launch of her new store with a special giveaway! To enter the giveaway, Jessica would like you to view her shop and tell us which of her 6 designs is your favorite. Leave your comment here by 9 PM US CST on Monday, July 18. We'll choose one random winner and announce it soon after. Thanks, Jessica, and good luck to our readers! 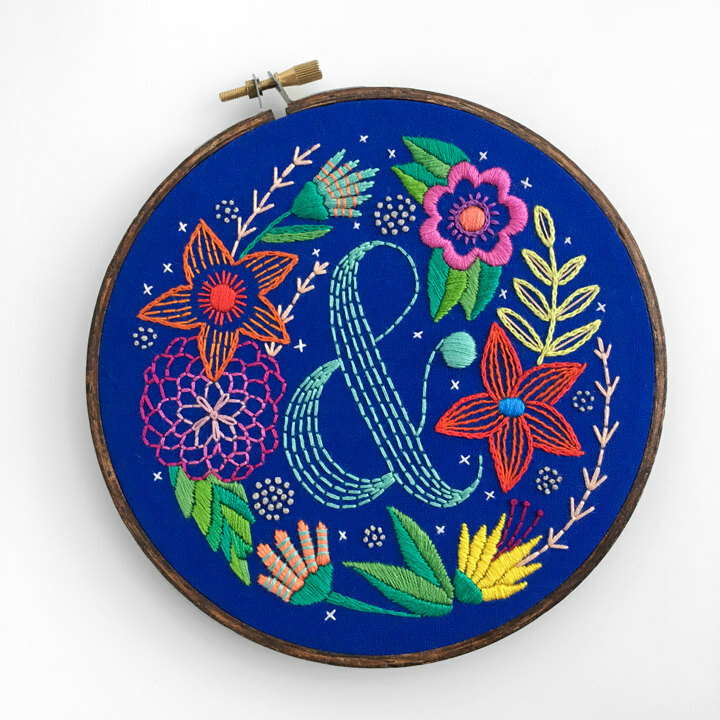 From time to time, I love to check on Miniature Rhino and see what lovely work she is up to - like this beautiful bold Ampersand pattern on Etsy. 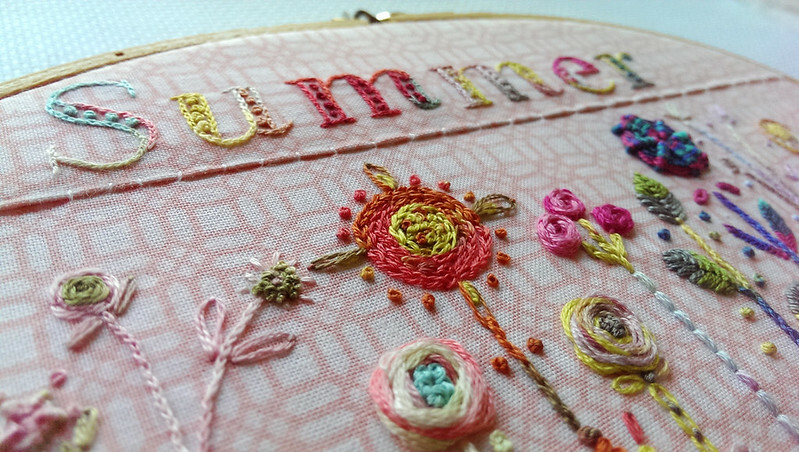 I love the variety of stitches and bright colors in this wonderful piece. I bet you could do a fascinating version of this in black and white as well. 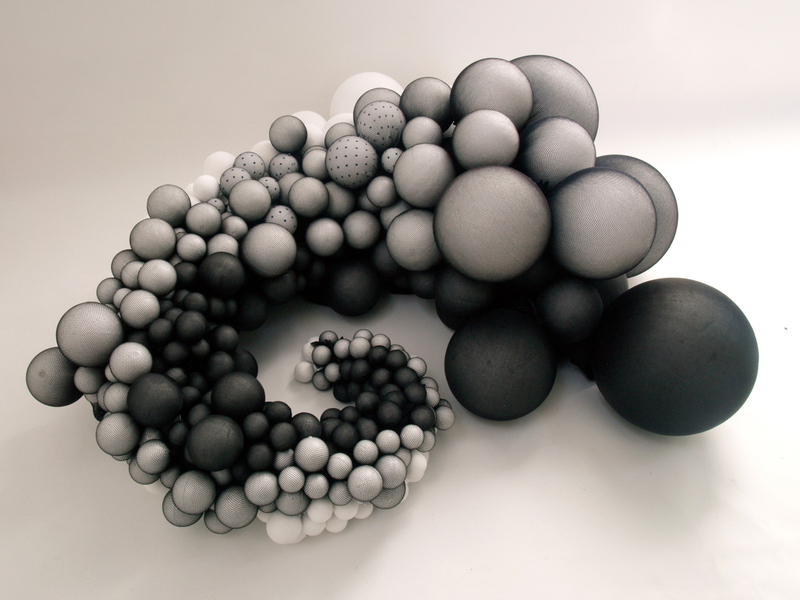 Undulating, organic sculptures are masterfully crafted by artist and designer Rowan Mersh. 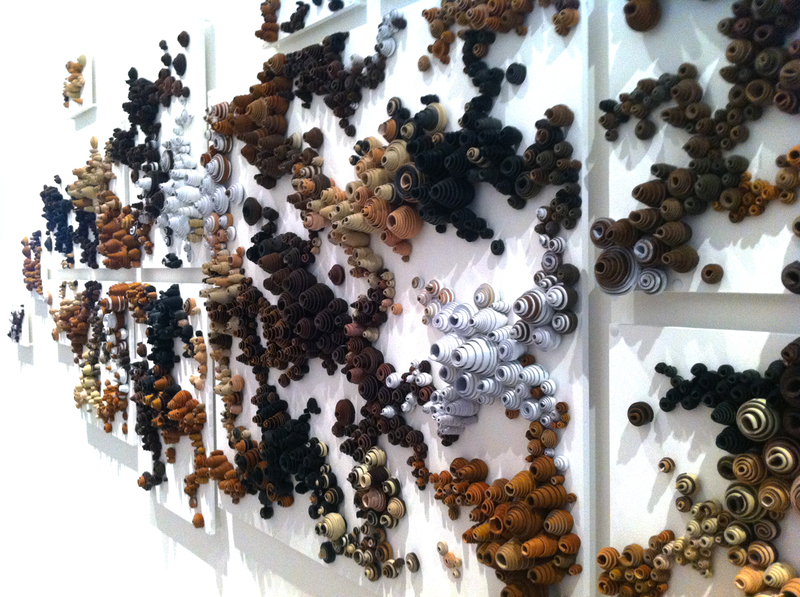 Each element of his sculptures is individually positioned and fixed. The elements and structure of the chosen materials are explored to maximum effect. Mersh creates stunning textural art works using an assortment of media from leather and fabric to walnut shells and seashells. 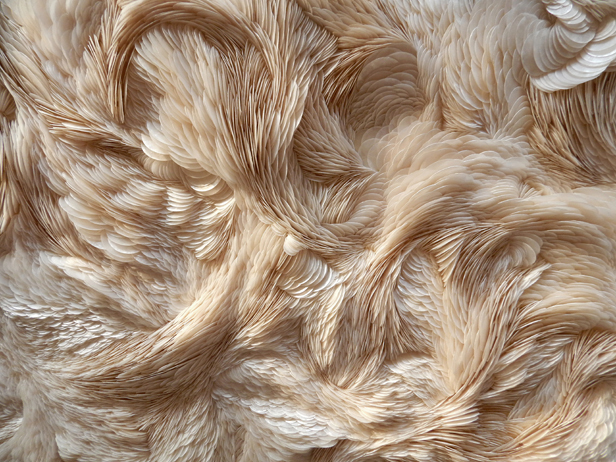 The textures hold so much depth that they resemble nature perfectly such as ruffled feathers, knots in oak, tousled fur and sea creatures' swirling tentacles. The realistic quality of Mersh's works of art and attention to detail is inspirational. 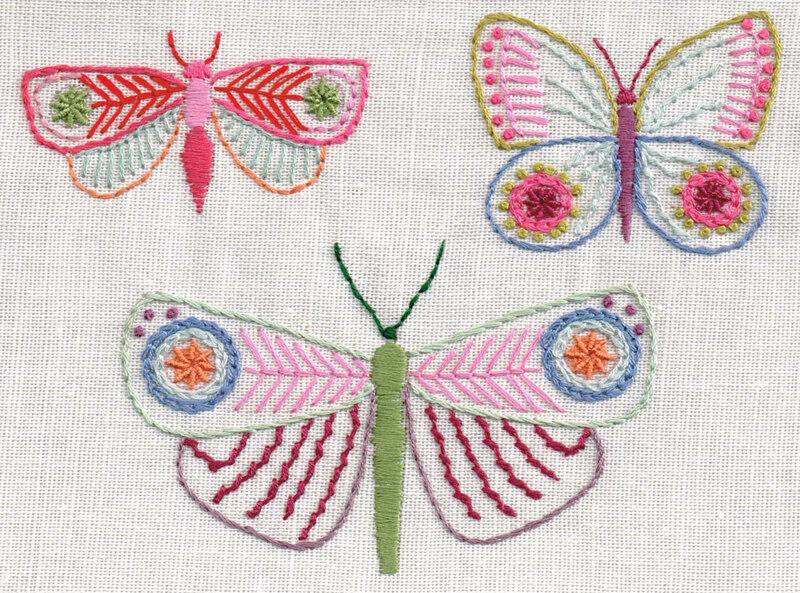 I am floored by the talented, bright, colorful stitchery of Nancy Nicholson - and this dense Butterflies PDF pattern on Etsy does not disappoint! Happy Stitchy Friday, friends! On today's Friday Instagram Finds we feature @novelsnob. 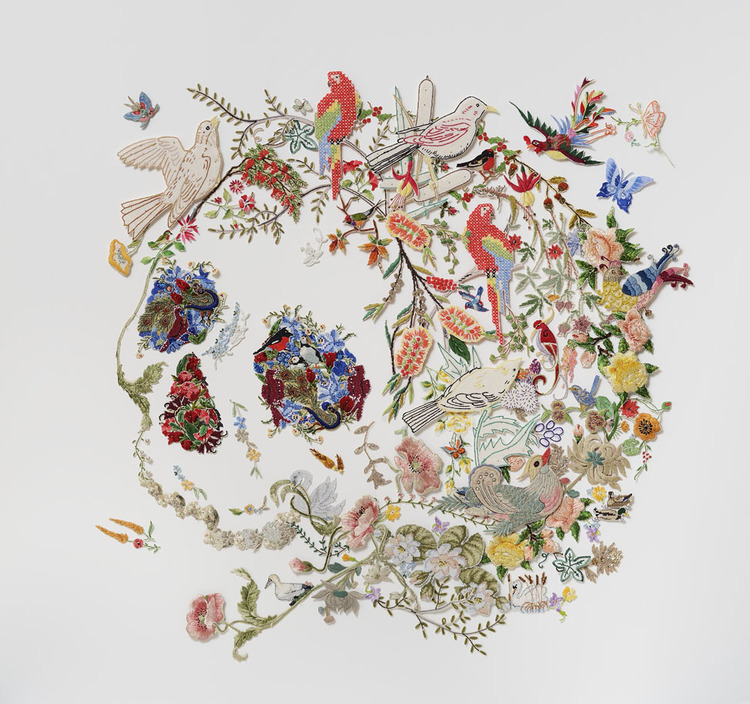 Emma creates absolutely stunning pieces of 3-D embroidery! And that's not the end of her talents - she is an accomplished embroidery artist, she sews, crochets, and does free-hand machine embroidery. Here are some of my favorites from her Instagram feed. 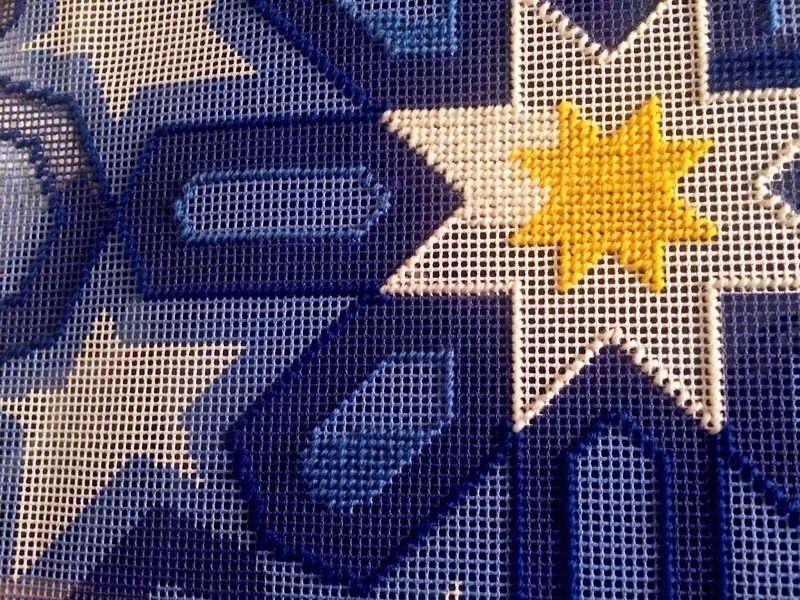 Emma used #feelingstitchyig, and I'm glad she did so I could discover her beautiful work. While you're on Instagram checking out Emma's work at @novelsnob make sure you follow Feeling Stitchy! We'd love for you to stop by and say hello. You can find Feeling Stitchy on Instagram at the handle @feelingstitchyish. You can find Amy @randomactsofamy on Instagram.